Our internet connection has been down since Friday afternoon. A freak thunderstorm came through our town and somehow, it killed our DSL motem. Normally, I would be freaking out. NO INTERNET FOR 5 DAYS??!! But, it's been such a nice little vacation! 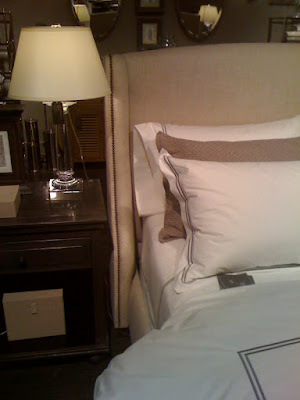 I caught up on laundry, did a little shopping, and worked on a client presentation. I even played Spider Solitaire (which has proven itself to be the most addicting game in the universe... I keep telling myself "I'll win the next one", "One more game. I'll win the next one..."). 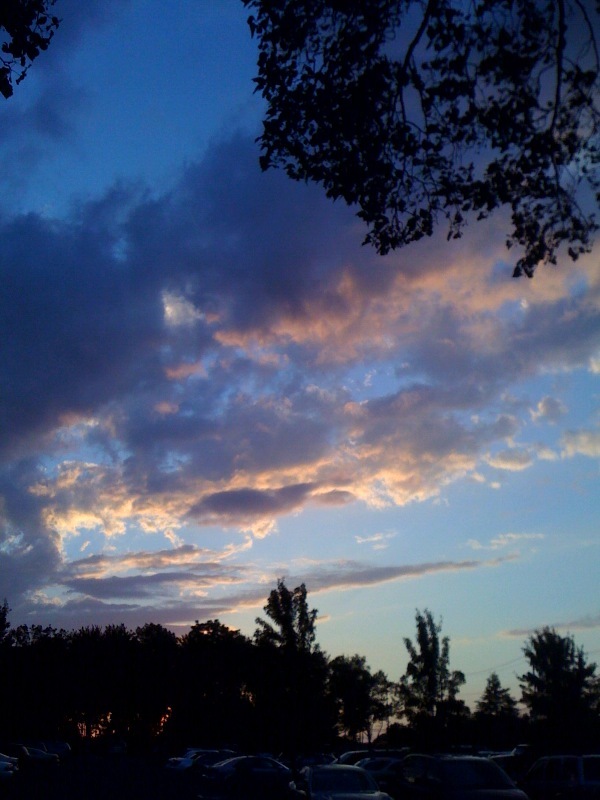 the Pennsylvania sky after sunset. 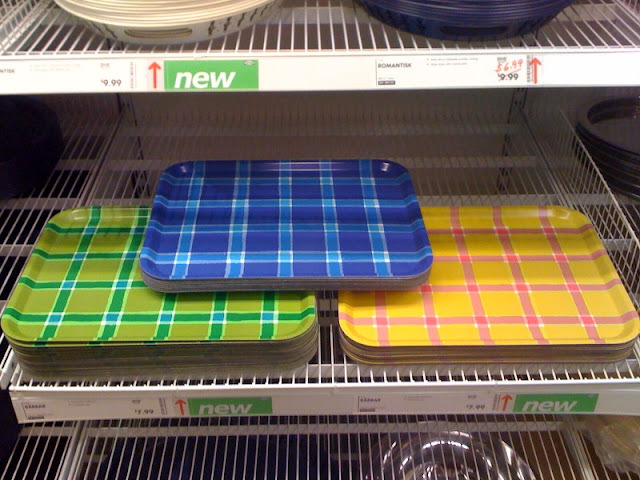 so cute for summer entertaining! 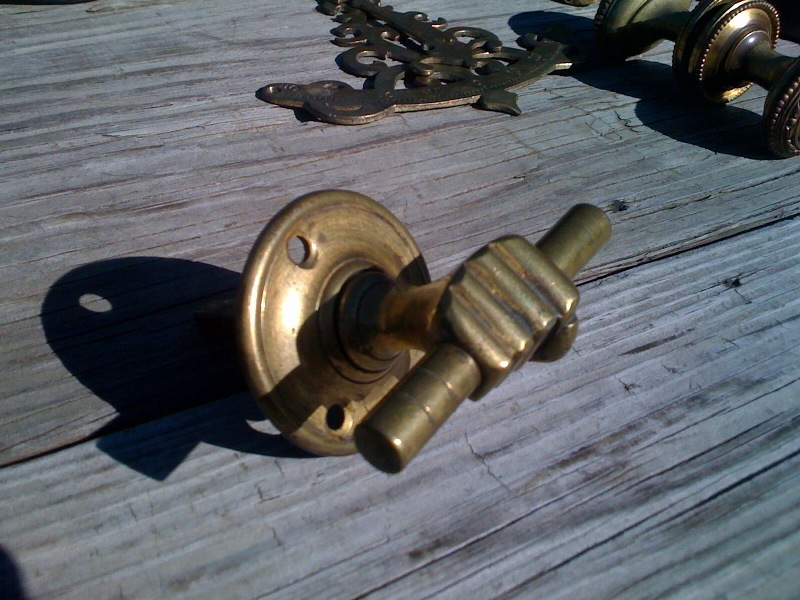 the coolest brass doorknob, found at a flea market this weekend. 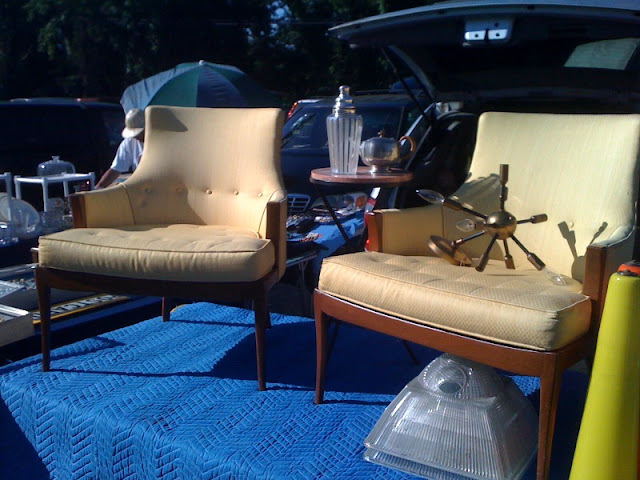 a pair of midcentury modern side chairs, and a brass Sputnik ceiling fixture. 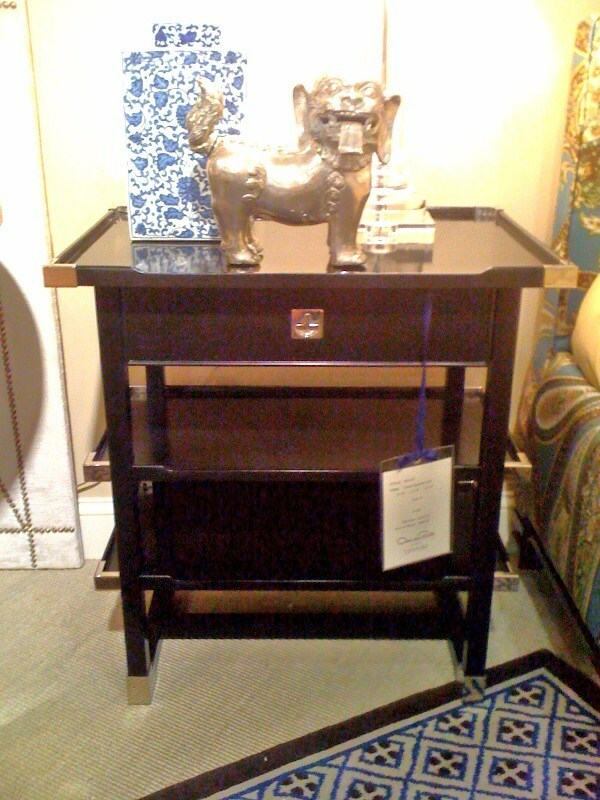 a super chic (and super expensive) Oscar de la Renta side table at the Century showroom, in the Philadelphia Marketplace. impressed by this console table with a blue stone top. Spotted at Crate & Barrel of all places. 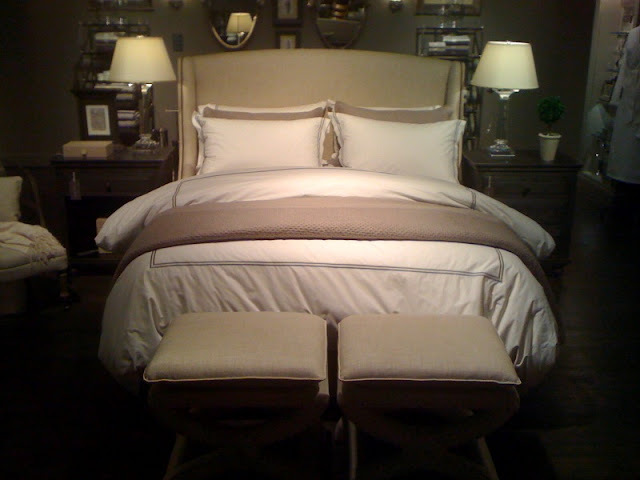 It would be very pretty in the right setting (I would fill that lower shelf with chunky woven baskets). a few of my design boards, illustrating possible fabric combinations. They're waiting for next week's client presentation. So, did you all have a nice weekend? Sometimes, it's nice to just "unplug". Whether you like it or not. I'm getting my own version of unplugged coming up next week. I'm going to visit my folks. They live in the sticks and have a dial up connection. Also, my cell phone doesn't really work there. It's like being on Mars and I love it! I also have a mad-addiction to Solitaire. I could keep telling myself "one more game" forever! 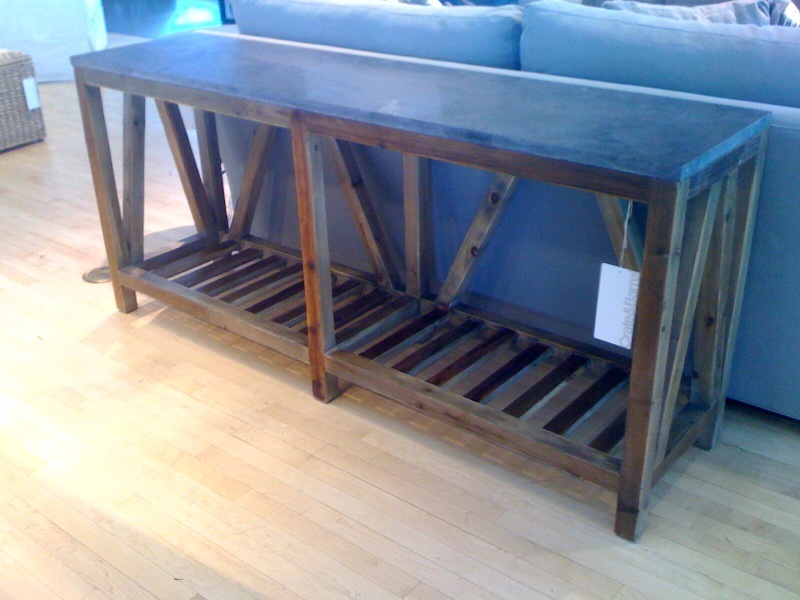 Your shopping trip sounds great - many cool finds! 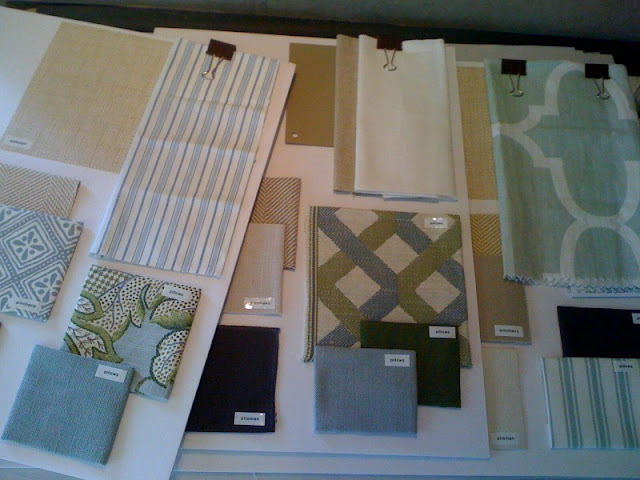 Would you mind telling me the name of the leaf print fabric in the pic of your design boards? It's the one in the bottom left corner. Thanks!!! I'm new to the Philly area and looking for a good flea market or two. Can you make some recommendations? Oh my goodness I love those mid-century chairs . . . I WANT WANT WANT them! Your design boards also look fantastic your client should be thrilled. It's definitely nice to be unplugged every once and awhile! I will be unplugged on a cruise in a couple of weeks and I can not wait. The knobs are a great find! I love the fabrics you chose for your clients! Especially the blue diamond and the blue/green foliage on the left board. Any chance you can share the pattern names? Thanks!! I love those chairs. Exactly what I'm looking for--argh! Stone Road Tag Sale- Sneak Peek!